These palettes have so much drama surrounding them! 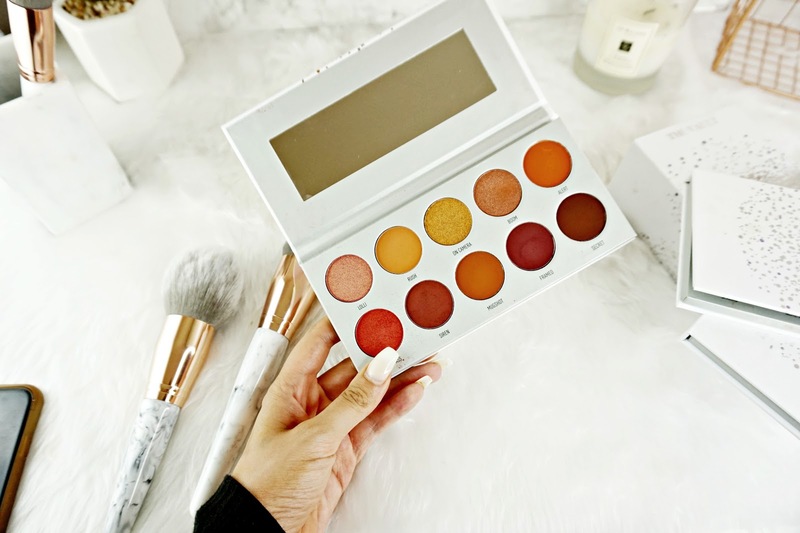 I'm not going to go into to much detail, but the initial launch of these palettes was delayed when Morphe and Jaclyn noticed inconsistencies among the palettes after the PR packages were sent out to influencers. People questioned if the palettes were ever changed or if the delay was a stunt. Jaclyns original Morphe collab was so well received I knew i wanted the Vault, I never got the original because I don't like how large the palette is. But because these are smaller I couldn't resist. I actually wanted to get this review up sooner but I wanted to have a good play with the shades and really see how the perform. And I'm ready to share my thoughts. 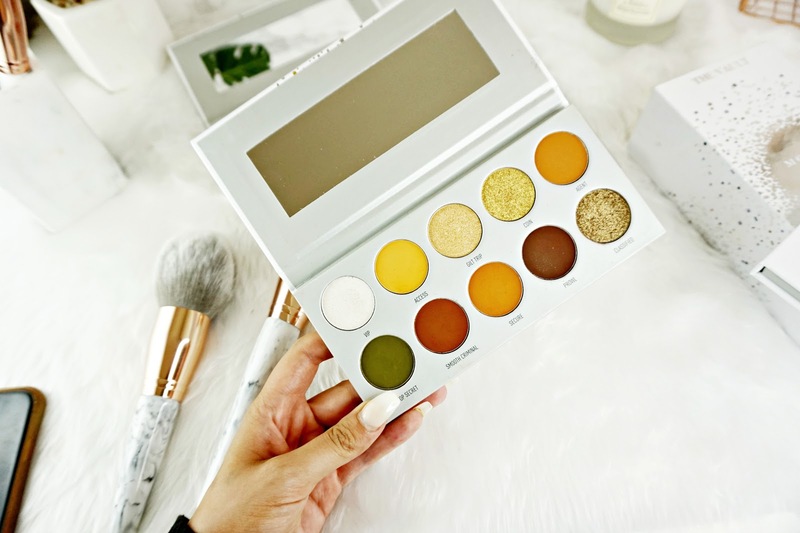 Morphe slowly disappeared from most UK retailers, but they recent came back exclusively to Cult Beauty and they do also have a UK site. The vault collection though isn't available on Cult Beauty yet, i'm not sure if they even will be stocking it. I ordered my mine from the UK Morphe site. I'm pretty sure the shipping was free or it was very affordable. The Vault arrived perfectly 2 days later. The Vault collection, which consists of 4 palettes, each containing 10 pans costs £49. The palettes can be brought individually for £15. Making the Vault better value for money. I think £49 for 4 palettes is very reasonable if the shadows are good quality, that is. The 4 palettes come housed in a box which I really love and they look so pretty on display. I also really like the design on the front. 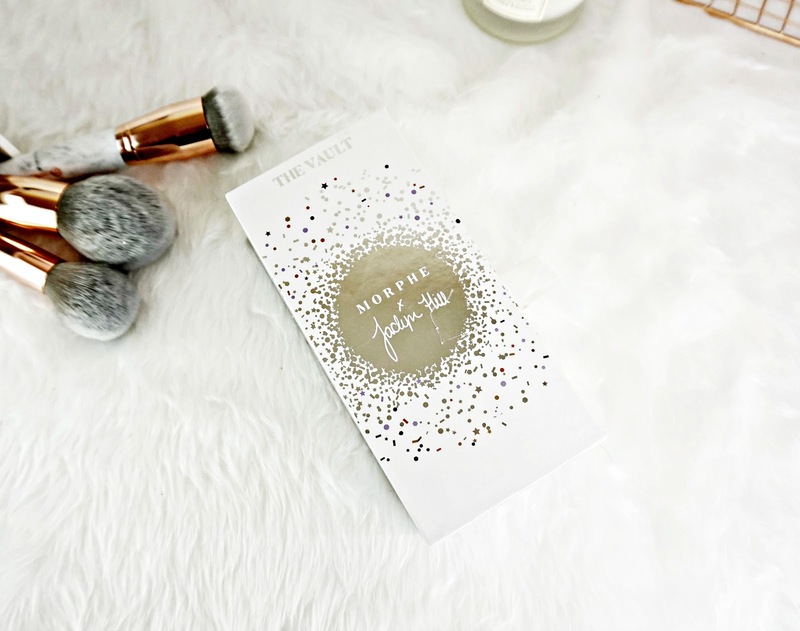 It reminds me of the Becca and the Jaclyn Champagne Pop collection. Each palette is housed in a sturdy cardboard, that can be wipe cleaned. Which is super handy considering the palettes are White. Each palette has a decent sized mirror. I don't have any shades like this in my collection and I wasn't to fussed by this palette until I saw it in person! The Green hues are so stunning! 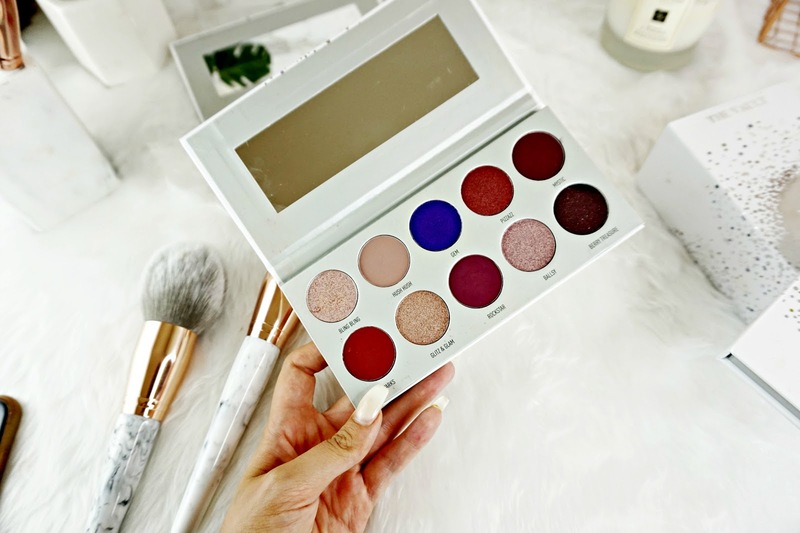 This palette contains 7 mattes and 3 shimmers. A few of the mattes do require some building, especially the shade SHHH. I did also have a bit of difficulty actually blending the shades together, especially when trying to get the lid colour to meet the crease! It went patchy and did take some effort to sort it out. But it wasn't impossible it just took a little longer. The shimmers are really pigmented. I do love how unique some of the shades are and because I don't own any shades like these, it's a welcomed addition to my collection. This is my favourite palette of the lot. Just look at all those warm Pinks and Purples. This palette contains 5 matte shades and 5 shimmers. The lighter mattes did require some building but the darker ones were really pigmented. The shimmers perform well to. I have no complaints with this palette. I love it. I was super drawn in by the shades in this palette. Purples and Cranberry hues. The shade Gem is another shade that I don't have anything like in my collection. Although I did have the same blending issues as I did with Dark Magic. The shades just don't seem to want to meet together. They do blend eventually but it's a bit of a pain. And finally the Armed and Gorgeous palette completes the collection. This palette houses Orange and Gold hues. In terms of shades this isn't my favourite palette but I did find this palette was easier to work with. The shades blended well together and all the shades are really pigmented. The shimmers really pack a punch! 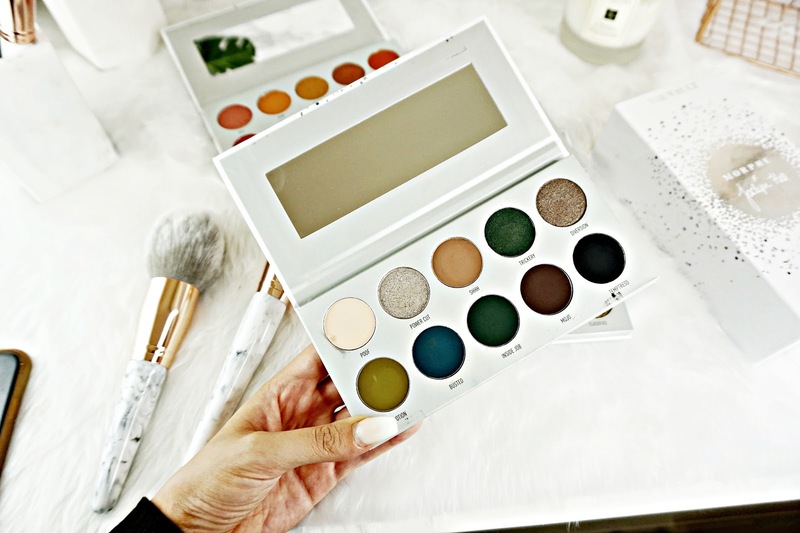 I'm really interested to see how these compare to her original, large palette with Morphe because to be honest I was expecting a little more from these. I just find the shades a little to difficult to work with. Dark Magic I will probably reach for quite often because I don't have anything like it my collection. I love the shades of Ring The Alarm and that one is buy far my favourite! I don't hate these palettes I just think the formula isn't that good. If you are a beginner with eyeshadows you will probably find these super difficult to work with. Maybe I got an old batch before they changed the formula, or maybe the formula was never changed. Who knows. 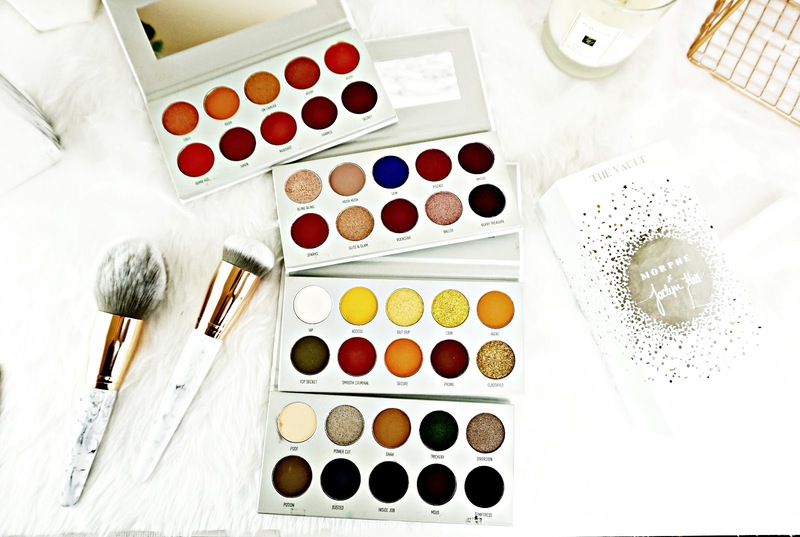 The Vault Collection is available from Morphe here.